Special Needs Reading Tutoring for Children with Speech/Language Disorders in Westchester, N.Y. The Dicker Reading Method can help anyone, at any ability, learn to read. Discover how your special needs child can improve their reading and comprehension skills, achieving their full potential! 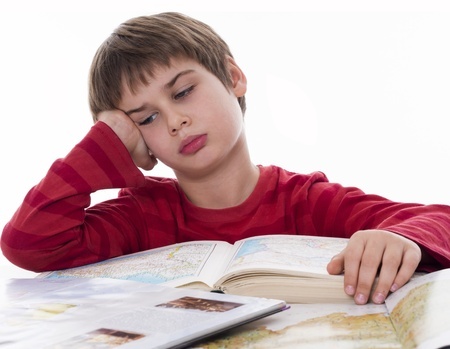 We will teach your child to read better, faster, with greater fluency and comprehension. Your child’s grades, confidence, and self-esteem will soar. Your child will learn to read in an environment that is fun, easy and life’s most exciting game. We have special needs students in our program reading on elementary, middle and high school reading levels. “Imagine what it must feel like to be a child with Speech/Language Disorders who can’t read like the other kids in school. Not only do your grades suffer, you suffer emotionally. You feel humiliated like you’re not as good as the other kids. For a child, it’s devastating, and for parents it’s heartbreaking. Over the past 35 years, the Dicker Reading Method Has developed custom-tailored reading tutoring for special needs children and adults of all ability levels in Westchester, NY and beyond. We have had great success with students with our Special Needs Reading Tutoring for Children with Speech/Language Disorders. It is likely they are not achieving their true reading potential, The Dicker Reading Method and our Special Needs Reading Tutoring Program for Children with Speech/Language Disorders program can help your child become a focused, fluent, confident reader who can reach their full potential. The unique Special Needs Reading Tutoring Program for Children with Speech/Language Disorders system is so effective that it is possible for even a non-reading student with special needs to learn approximately 15–30 words in their first session, then go on to read their first book fluently. We have children with special needs in our program reading on elementary, middle school, and high school reading levels. Many children with special needs have done it, thanks to the Dicker Reading Method. We will work with you and your child to develop the best curriculum for their individual needs, so that, no matter where they started or what special help they need, your child can achieve their true reading potential. "My son was in the third grade when he had a great deal of difficulty in reading because he was diagnosed with speech/language delay with an auditory processing disorder. After approximately 1 year in the program, a miracle occurred where he was reading on a 6th-grade level and was able to master words, meanings of words, and comprehension! He was recently accepted to Rensselaer Polytechnic Institute (RPI) for engineering. Thanks to this program, my son would not be where he is today. I highly recommend it to anyone who has any reading problem!" Our Special Needs Reading Tutoring Program for Children with Speech/Language Disorders program will teach your child to read better, faster, with greater fluency and comprehension. Results No Other Program Can Match! Start now with a free consultation! Develop up to a 5,000 word reading vocabulary. Home » Special Needs Reading Tutoring for Children with Speech/Language Disorders in Westchester, N.Y.